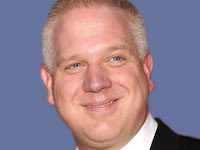 The following piece is being reprinted with permission of Agence Global, the syndication agency for The Nation magazine which originally published this article under the title "Back at you, Glenn Beck." Previously on this Review, it was pointed out that Glenn Beck's attack on what Stephen Lerner said at a conference was an example of Beck's hypocrisy, one of many examples over the last year. Here Lerner fires back at Beck. He serves on Service Employees International Union's International Executive Board and is the architect of the Justice for Janitors campaign. This will be followed by an interview with Lerner by radio host Dylan Ratigan.